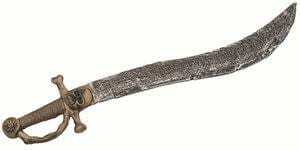 29 inch curved pirate sword with skull on handle. Lightweight. Great for stage!